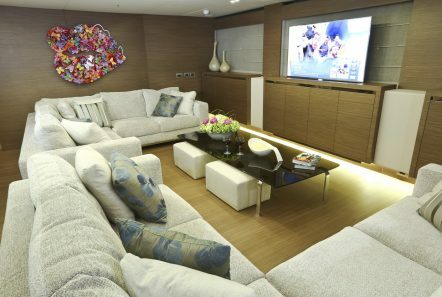 IPANEMAS (Tecnomar) is a 147 foot luxury motor yacht that has become a legend of the charter market having raised the standards in terms of quality and level of finishings completed at the Admiral Tecnomar Group. 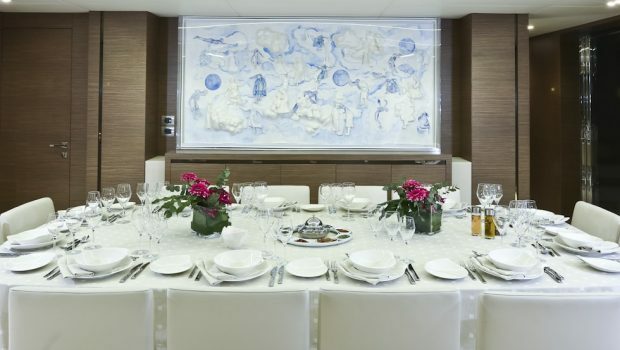 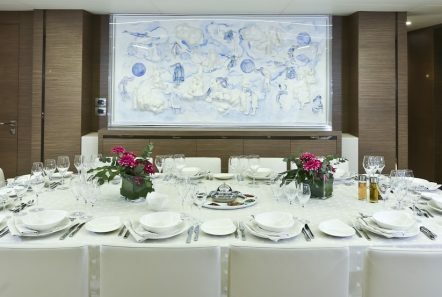 She offers her guests unparalleled comfort combined with elegance and luxury. 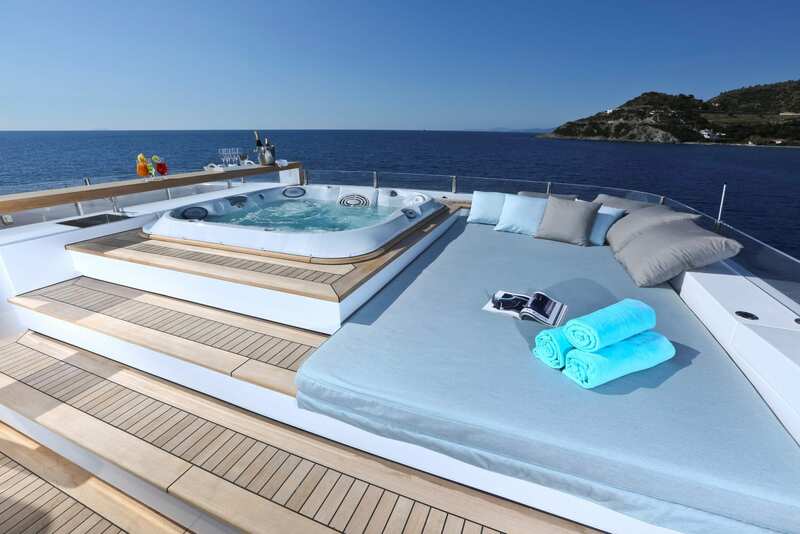 With her three decks, three dining areas and vast array of sports equipment and water toysॱ Ipanemas guarantees a memorable cruising experience! 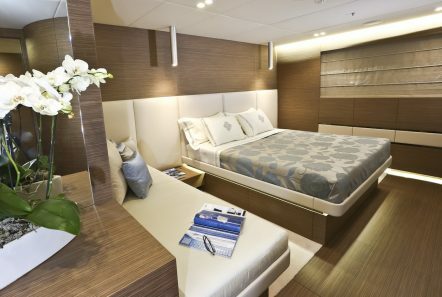 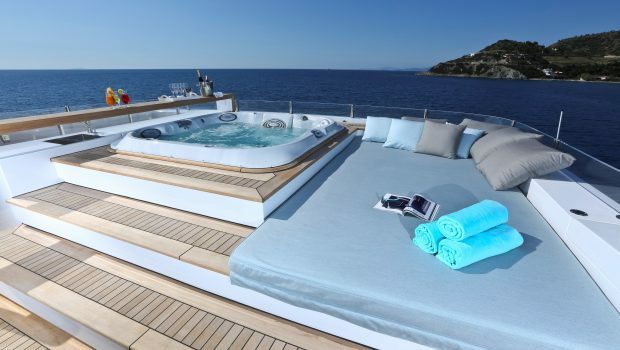 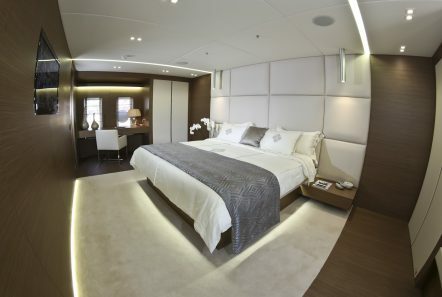 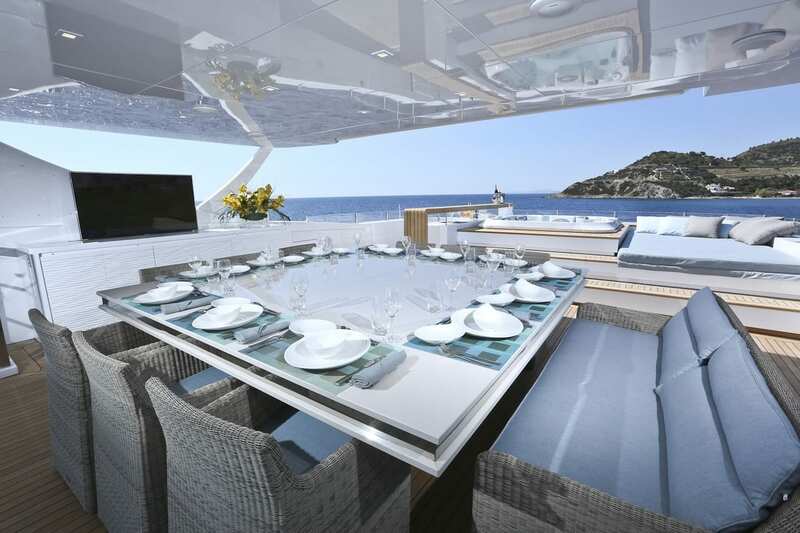 Her unique sun-deck and bountiful amenities promise memorable moments of Holiday relaxation! 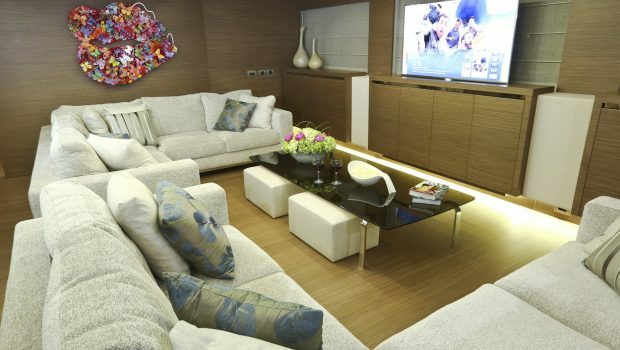 Neutral and simple interior decoration create an atmosphere of elegance. 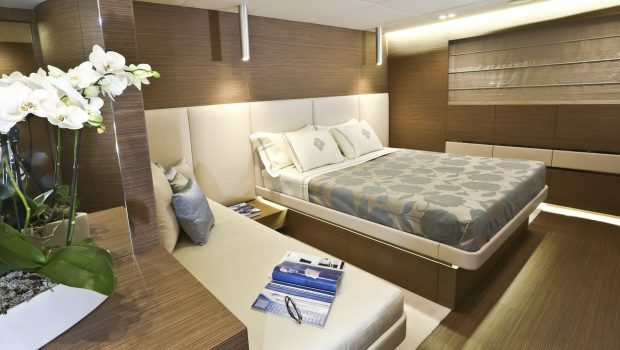 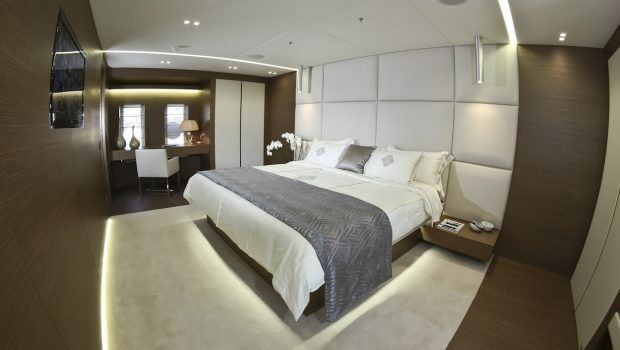 Presenting a Full-beam Master cabin on the Main deck, three VIP cabins and two twin guest cabins on the lower deck, Ipanemas offers her guests spacious accommodation with an elegant modern decor. All cabins are equipped with the latest entertainment technology! She has spacious exterior spaces and features a Jacuzzi on the Sun Deck for full relaxation while enjoying the exquisite scenery.